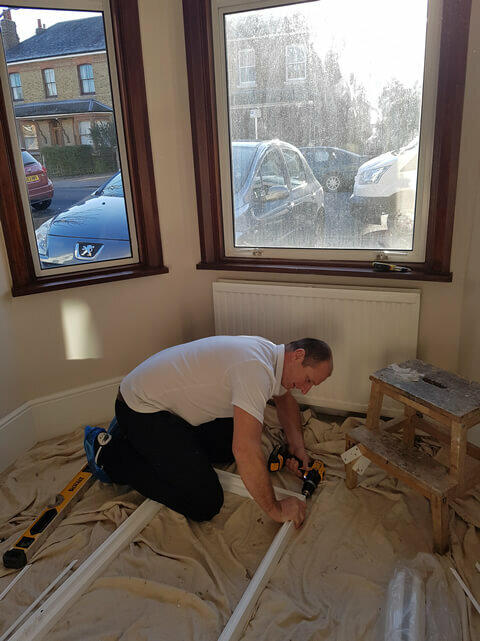 One of our Fitting Technicians Mark was back in our local area of Bromley, Kent to fit some new shutters for a client with a three sided bay window. 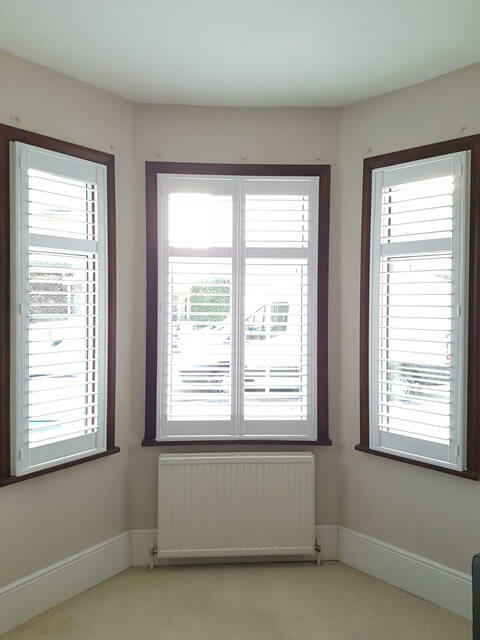 Each window was in its own individual frame, which made it a little more unique than the usual bay windows we create shutters for. 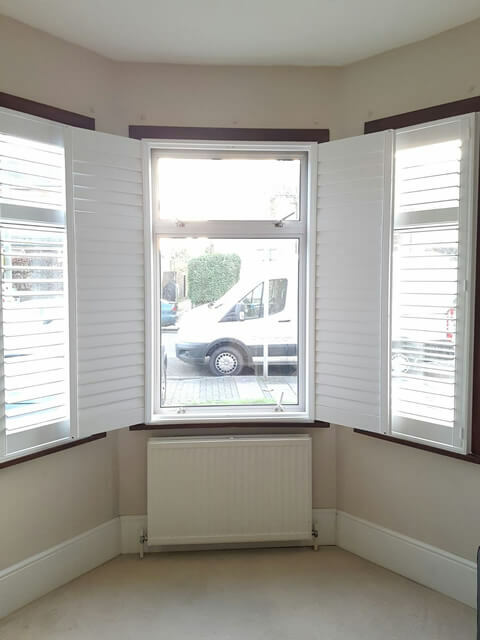 The customer was looking to have a better looking window dressing in the place of some dated curtains, while also taking advantage of the flexibility of lighting and privacy that the new shutters would offer. 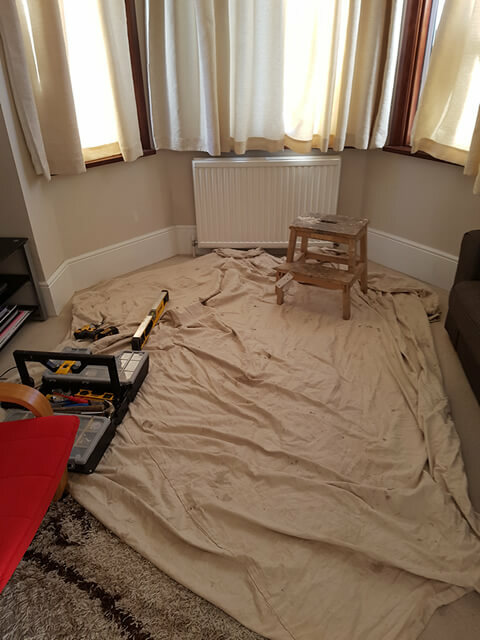 Before even starting the work as with all our jobs Mark made sure to place a dust mat down on the carpet and get everything in place ready for fitting the frames. 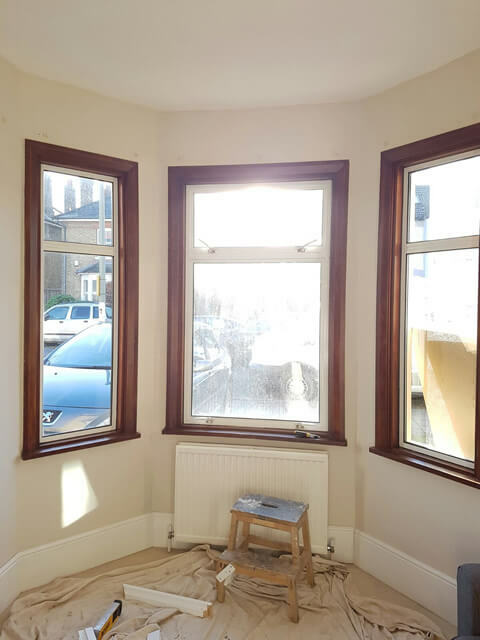 The framing is put together ready to be placed in the window recesses and because we bespoke create all the frames to the exact measurements of your windows they fit millimetre perfect to stop and light leakage and also helps to aid sound proofing and insulation! As you can see the frames are then drilled to fit within the window recess making the perfect fit ready for the shutters to be fitted! 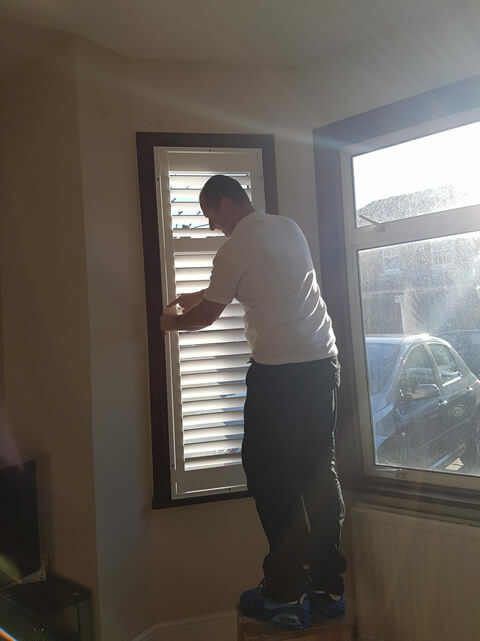 We take great care in fitting each shutter panel into the frames making sure that they operate perfectly and sit 100% correctly. 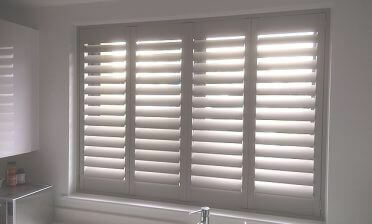 These shutters were created from our Fiji Range of hardwood and finished in a pure white paint. 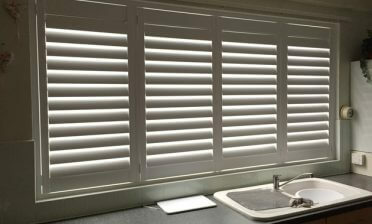 They are of a full height style with mid rail which matches in perfectly with the windows behind. This creates the ultimate look from both inside and outside of the property. To match the windows the mid rail was placed two thirds of the way up the window in this installation, but we also commonly create the mid rail half way. The mid rail also acts as a split between the louvres so that the top and bottom louvres can be adjusted separately throughout the day. As with all the jobs we carry out, Mark was over the moon with the results of the installation. 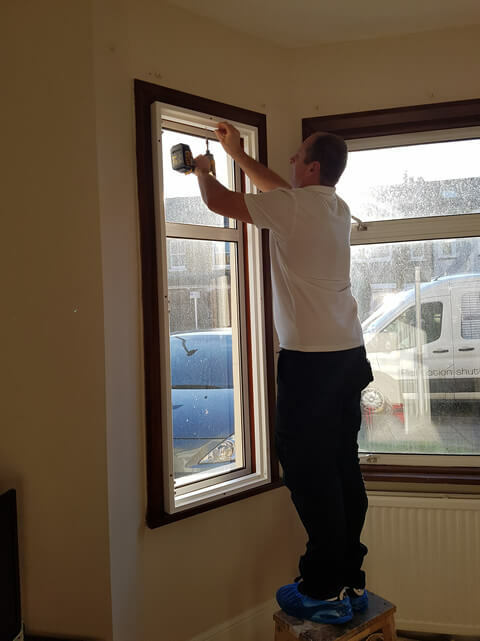 You can rest assured that all our fitting technicians take pride in each and every installation they carry out, treating the customers homes as they would their own and making sure that the client is totally satisfied with the end result.